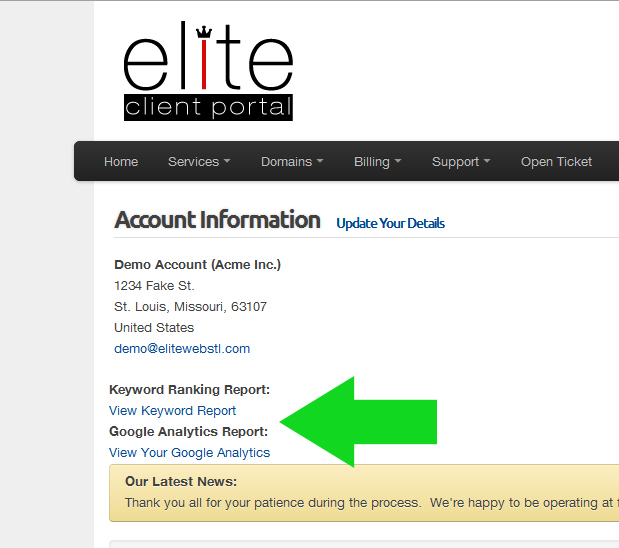 Did you know you can view your keyword reports and google analytics from within the client portal? Located on your home page after login, the two links can be found under your Account Information. Apr 12th Elite Web Stl Officially Launches! Thank you all for your patience during the process. We're happy to be operating at full capacity! We will be offering new services so be sure to check back soon for all your Web needs!